We, Axcel Gases along with our associated companies are a renowned Propane Gas manufacturer, supplier, dealers and exporters in India. Propane is a chemical compound which is highly flammable, non toxic, non corrosive, colorless and odorless gas in its pure form. It has got a boiling point of -42.1°C (-43.8°F). Propane is basically a byproduct of Oil and natural gas Industry, available under earth and under sea bed. Propane is a gas at standard temperature and pressure. For ease of storage and transport, it is converted in to liquid. This liquefied gas is stored in Propane Gas Cylinders and supplied to diverse industries / laboratories for their respective use. We also supply Propane Gas Cartridges. Propane is available in different purity grades and concentrations to meet the specific requirement of diverse industries. We have in house laboratory equipments to check the level of purity as well as concentrations. Propane is basically a fuel gas used to give heat to any requirement. It is majorly used as a source of energy for various applications. Some industrial applications use pure Propane for flammability test application as per there specific requirement. 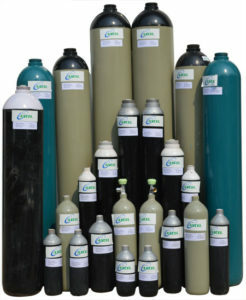 As a fuel gas in industry for any heating application. As a fuel gas in metal cutting / welding / brazing operations in an industry. As a Fuel gas in automobiles as motor fuel. As a fuel gas used in household for cooking and heating purpose. As a major fuel for Hot Air Balloons. As a propellant for Aerosol sprays. As a component to be mixed with Butane to make LPG. As a calibration gas mixture when mixed with any Inert / carrier gas, to check and calibrate the laboratory or research grade instruments. These are some of the common uses of Propane. There are various other ways in which Propane can be used in a particular industry or process.